Am I correct in believing Andrew Cuomo, the Governor of New York and his slavish, hand clapping coterie of useful idiots that compose his Progressive legislative body, have brought the Democrat Party, indeed the entire population of New York, out of the shadows of its moral confusion, corruption and hate, into the sordid and dimly illuminated world of murder on demand. Did the Catholic Cuomo, actually create a “Stalinists” State? They won’t need Gulags, just more centers for women’s choice (euphemism for abortion clinics) where the wholesale murder of infants, even at term (nine months), will proceed at the governments pleasure for the profit of the state by the unholy sale of infant body parts. History tells us of the horrors of murder factories like Auschwitz, the Soviets forced labor camps in the frozen tundra of Siberia and the prisons of Cambodia where the intellectual flower of that country were murdered wholesale. Did Governor Cuomo willingly sign this act authorizing government protected murder because he wanted to? Yes, he did! That makes him evil! For what it’s worth, Governor Cuomo stands under threat of “excommunication” by the Catholic Church of which he is, or once was, supposedly a communicate. But he doesn’t care because the forty or so years of the stealth indoctrination of Marxist dogma has changed our culture, diminished our moral values and threatens any logical argument against such horrors upon retaliatory threats of racism, homophobia, anti-women and whatever else they can think up. These changes have rendered our cultural Judeo-Christian moral standards nearly ineffective in resisting the Stalinists transitioning of God’s Church into the Church of Satan. Andrew Cuomo is now Baal, the First Prince of Hell. His robes will be black and blood stained and rites of excommunication, no longer relevant to a once fearful society of Catholic Christians, remains no threat. It’s not politically correct, is it? How dare a mere Bishop of the Church make such a pointless gesture to a Prince of Hell? It simply won’t do! Political Correctness is the Progressives mechanism that discourages resistance to stupidity and moral turpitude by attacking people who express their support of personal initiative, free speech, individual liberty and the unfettered use of private property. How do people defend themselves when Progressives work tirelessly to remove their only source of self-protection, the 2nd Amendment? Already, to speak against the danger of Progressivism is a heresy that also must be stamped out before it takes hold. It’s a direct assault on our First amendment rights. If New York is the first state to officially become Stalinist, with Baal Cuomo the first Prince of Hell at it’s helm, which State is next? Oh, most certainly it has to be California with its new Governor Gavin Newsom soon to dawn his robes of office as the second Prince of Hell. Mythology tells us there were only six or seven princes of hell in the world of Demonology so, it remains to be seen who next will stand up and be counted as a follower of crazy Baal. The once venerable and rich country of Venezuela, following the lead of Maduro, its own Prince of Hell, is collapsing and neither Cuba, Russia or China, can save it. There, they are murdering their own citizens on the streets as apostates who no longer subscribe to the tattered dream of a Socialist utopia. Gov. Cuomo’s dream can’t last either. The human condition simply can’t take it and it finally arrives at the point where more innocent blood will inevitably turn to revolution, not just to change leadership but to bring about the complete and total end of the corruptors. It will be revenge. How will Cuomo exculpate himself before the gallows are built? Pollsters say Republican Secretary of State, Brian Kemp, will need a large turnout in rural counties, in the race against Democrat Stacey Abrams to become Georgia’s next governor, to offset what is expected to be a large turnout in metro Atlanta and the suburbs. 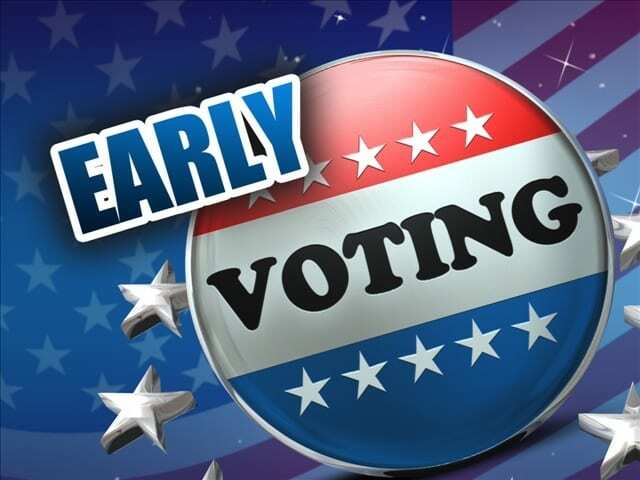 Early voting ended on Friday November 2, and Chief Registrar and Elections Manager, Ashley Peck, reports that during the three-week advanced voting session, Lumpkin County received a total of 7,395 early votes, compared to 9,063 in 2016. 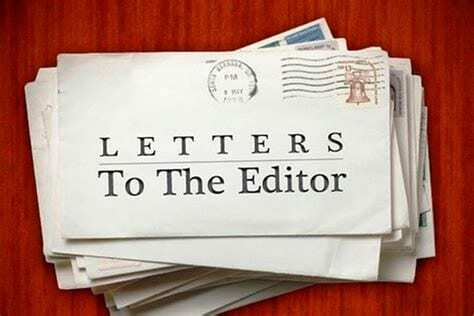 Peck also said there is a total of 19,574 active voters in Lumpkin County, which shows an increase of almost 4,000 new registered voters, compared to the 15,618 active voters who were registered in 2016. Also, 429 absentee ballots have been returned, compared to 569 in 2016. However, Peck confirms that more absentee ballots are being received. The final election day is Tuesday, November 6, 2018. While the liberal media ignores the fact, both candidates in the bruising two-month Georgia Republican gubernatorial primary race have avoided immigration issues where the eventual governor can make the biggest difference. The main driver of illegal immigration is illegal employment, which was not mentioned in either campaign. In addition to black market labor, they are also both dodging obvious and voter-popular immigration issues where a governor can play a central role, including drivers licenses to illegal aliens and official English for government. When asked in a statewide December 2015 poll, “Who should get the future jobs in Georgia? – Americans, including legal immigrants already here, illegal immigrants already here, newly arrived legal immigrants and guest workers or it doesn’t matter, workers who will work for the lowest wage.” A whopping 90% of Republicans said Americans, including legal immigrants already here should get priority. Despite the objections of the business lobby and with a unanimous party-line vote, in 2016, the Republican-controlled Georgia state senate passed a Resolution that would have allowed all Georgia voters to answer a ballot question that year on English as the state’s constitutional official government language. But the legislation quietly died with Democrat “no” votes when Republican House leadership instructed Republicans to stay away from a sub-committee hearing which killed the bill. Official English is not a voluntary campaign topic for either of the Republican candidates for Georgia governor. This despite one metro-Atlanta school district boast that 140 foreign languages are spoken by its students. While it is not widely understood by voters, currently, the state of ten million offers the written road rules portion of the drivers license exam in eleven foreign languages. The same statewide poll that asked about official constitutional official English showed that 80% of Republicans and 63% of all Georgians also want to end the practice of giving any drivers license to any illegal aliens. 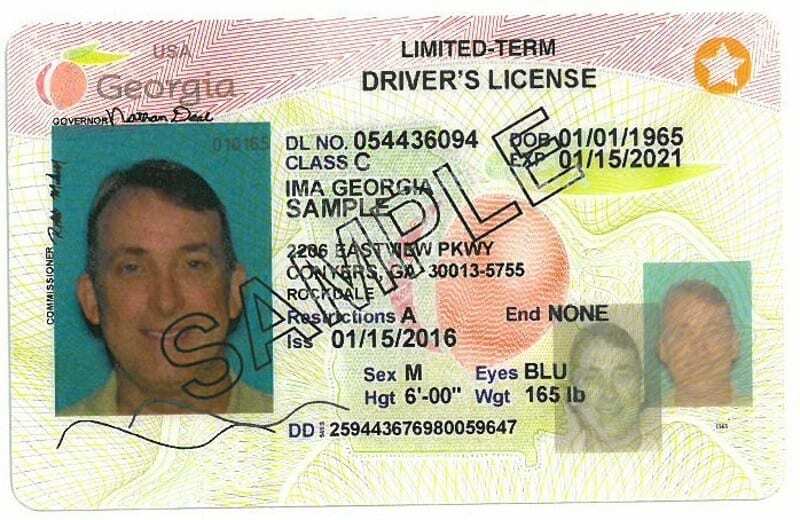 Many voters are unaware of the fact that Republican Georgia has issued more than 20,000 drivers licenses and official state photo ID Cards to individuals who the United States Immigration and Citizenship Services classifies as lacking lawful immigration status – but who have been given work permits by both the Obama and Trump administrations. This group of aliens includes recipients of the Obama DACA deferred action on deportation amnesty, aliens who have been granted deferred action outside of the DACA amnesty and aliens who have already been ordered to be deported by federal officials. Work permits, officially known as Employment Authorization Documents (EAD) are issued by the United States Citizenship and Immigration Services which is an agency in the U.S. Department of Homeland Security. The 2005 REAL ID Act implemented after the horror of 9/11 says that illegal aliens who have been granted deferred action on deportation or who have been ordered deported but then apply for permanent residence use that temporary condition as “evidence of lawful status” for the purpose of obtaining a federally approved drivers license or state ID card. ⦁ Through an official spokesperson, USCIS has provided a breakdown of the classification codes contained on the work permits that illustrate the immigration status of the bearer. ⦁ USCIS also operates the SAVE verification system for official agencies to determine immigration status of applicants for public benefits. Drivers licenses and ID cards are public benefits in Georgia. ⦁ Appointed by current governor, Nathan Deal, Georgia’s Attorney General, Chris Carr, has told an Atlanta NPR affiliate that “We have continuously and clearly taken the position in ongoing legal cases that DACA does not confer legal status.” (July 17, 2017 WABE News). Georgia is among the states that issues the identical drivers license to legal immigrants with ‘green cards’ and foreigners who entered the US lawfully on temporary visas – including Mercedes Benz executives – as are issued to the aliens the state Attorney General and USCIS says lack legal status. The defacto national ID, these credentials are used as valid ID to enter military bases, federal buildings and board airliners in America’s airports. Sponsored by conservative state Senator Josh McKoon, in 2016, legislation passed the Georgia Senate by a two-thirds majority – with every Republican vote except one – that would have clearly marked driving and ID credentials to note the illegal immigration status of the bearer. That measure was allowed to expire without a hearing in the GOP House, controlled by business-oriented Speaker David Ralston. McKoon also sponsored the official English Resolution. Most Georgians do not realize that under state law the same aliens USCIS says have no lawful status but have been issued a work permit are eligible for state unemployment benefits. The jobs-for Americans, drivers license/illegal alien/unemployment benefits issue is not a topic in either Republican candidate’s campaign for the Republican nomination for Georgia governor. Georgians deserve to now where the candidates stand. The powerful Georgia business lobby has long worked against protecting jobs and wages for legal workers, use of E-Verify, immigration enforcement and official English. Georgia ranks ahead of Arizona in its population of illegal aliens, according to estimates from DHS and the Pew Research Center. One estimate is that the crime of illegal immigration costs Georgia taxpayers $2.4 billion annually. The current governor, two-term, business-first Republican Nathan Deal, has avoided the illegal immigration issue since his first year in office. But, Deal boasts that Georgia is named number one state in which to do business by Site Selection magazine. The influx of migrants and the anti-enforcement power of the business lobby will eventually result in a Democrat in the Georgia governor’s office. This year’s far-left, anti-enforcement candidate for the office, Stacey Abrams, has a real chance of winning and has recently received a one million-dollar donation from Georgia Soros. On July 24th – it is vitally important that we cast our ballots for a strong leader who is prepared to be our state’s next CEO. As your state Senator, I want you to know that I’m 100% behind Casey Cagle for governor. I have served with him for 8 years in the Senate now and I am confident that he is the best choice on the ballot. Casey is a proven, consistent leader who has always delivered for our state – as well as our community and North Georgia. Due to his leadership as Lt. Governor, Georgia has been named the number one state to do business for five straight years, and we’ve added nearly 700,000 jobs and 40,000 new businesses. This year, Casey was the leader who fought to deliver the largest tax cut in Georgia history. Casey has also led to advance nationally renowned education reform measures – including the Charter Systems Act, College and Career Academy Network, and GA CATT apprenticeship program – which have been integral in transforming Georgia’s one-size-fits-all education system into a revolutionary model that puts students first. Not every student needs to get a four year liberal arts degree to be successful, and Casey is leading to prioritize workforce development so that all Georgia’s students graduate from high school with post-secondary experience or technical training that gives them the skills to attain rewarding careers. Casey has stood up for our conservative principles his entire career. 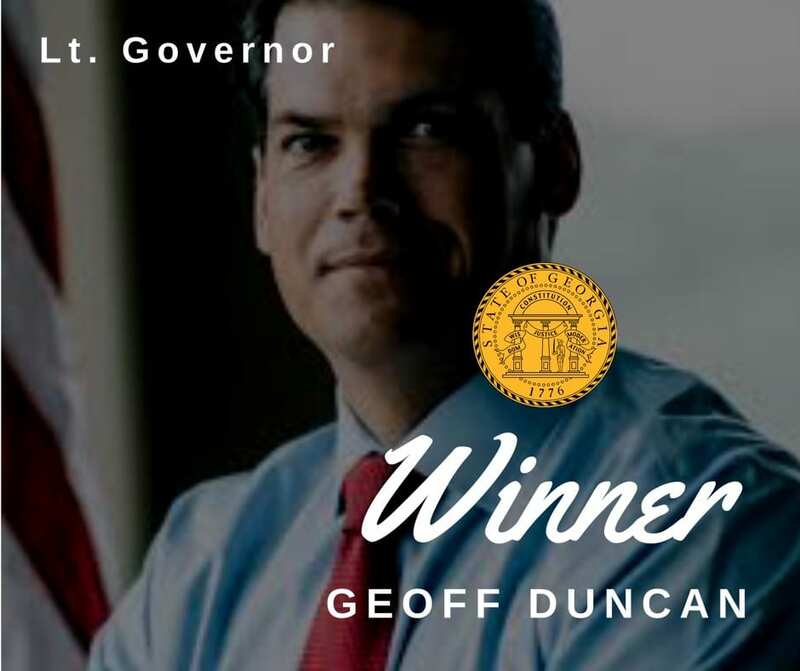 He has led to outlaw and defund sanctuary cities in Georgia, expand gun rights (earning him an A+ rating from the NRA), protect innocent life (earning him the Champion for Life award from the Georgia Life Alliance), and reform our adoption/foster care system to give faith-based organizations more opportunities to help children find loving homes. Please join me in supporting Casey Cagle and voting to elect him as our next Governor on July 24th. I have been honored to serve as your Senator and I look forward to working with the next Governor to continue the progress we have made. Blue Ridge, Ga. – What has come down to a battle of endorsements over the last two weeks has played out with some big name backers. 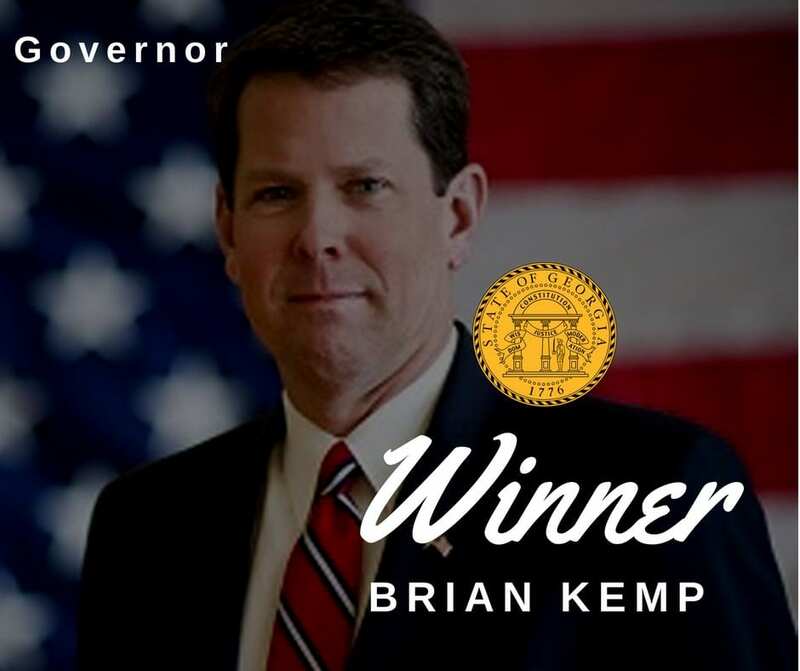 Secretary of State Brian Kemp landed perhaps the largest endorsement of all as President Donald Trump tweeted out his support of the Georgia gubernatorial hopeful. Kemp’s campaign announced recently the backing of several Republican opponents from the May Primary. Among those to officially announce their support were Michael Williams, Clay Tippins, and Hunter Hill. 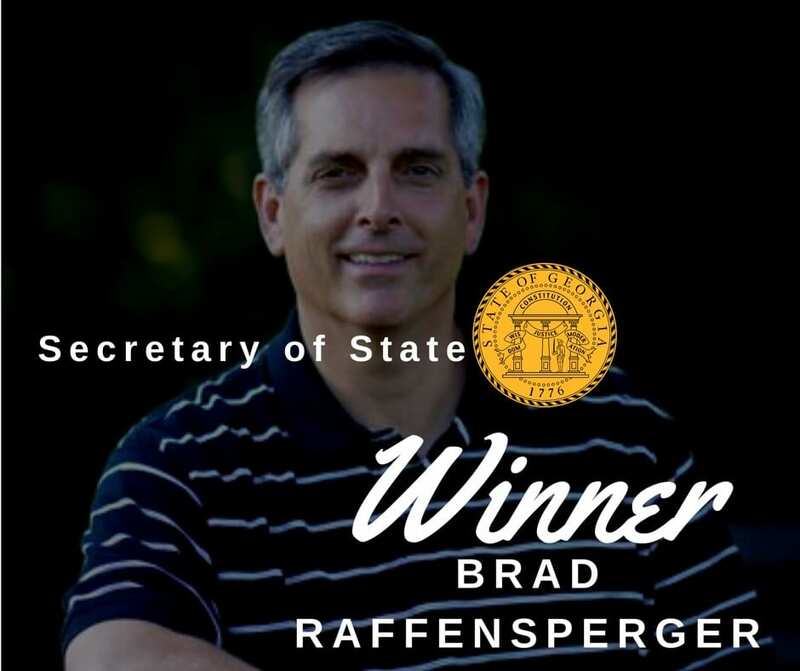 Opponent in the gubernatorial runoff, Lt. Governor Casey Cagle, was unable to receive any backing from Republican challengers that were faced earlier this year. Cagle did however land some big name endorsements recently as he continues his campaign. While holding the title of the only Georgia candidate in the governor’s race to be backed by the National Rifle Association (NRA), Cagle drove this message home as the President Elect of the NRA, retired Lt. Colonel Oliver North, hit the trail with Cagle to show his personal support of the candidate. Cagle’s big name endorsements didn’t stop there. Earlier this week current Georgia Governor Nathan Deal also personally endorsed Cagle to be his replacement. Although it seemed that the cards had become stacked in Cagle’s favor, Kemp showed his final hand and delivered a fourth ace by officially getting an endorsement from the President of the United States Donald Trump. With less than a week left in the runoff, it seems that Cagle will be unable to top Kemp’s latest move. Follow FetchYourNews for the latest election information and Cagle’s thoughts on Kemp’s latest round of endorsements.